One of Korea’s new masters of cinema is the incomparable Bong Joon-ho. Starting with his breakthrough in 2003 Memories of Murder, a film I have yet to see but many consider to still be his best, then the international smash The Host in 2006, Joon-ho has shown range and courage as a filmmaker who is clearly not shy of breaking new ground with each film. 2009’s Cannes and TIFF critical smash hit Mother is no different, and the TKFF offers a unique chance to see Mother back on the big screen as part of its inaugural lineup. Mother begins with a frazzled woman, the mother of the title (Hae-ja), as she walks towards the camera across a wheat field. Upon arriving at the camera she breaks into dance as the music fades into the scene and she tries to hold back tears, how she got there we have no idea, and the title card emerges. We flash back to her working cutting flowers as her grown up yet child-like mentally challenged son Do-Joon (Bin) is playing with a dog and is promptly hit by a passing car. As Mother frantically streaks across the street to attend to the uninjured Do-joon it’s instantly obvious that Mother constantly oversees her son’s actions to the point of overbearing based on his reaction. Do-joon and his friend Jin-tae (Goo), a lowlife in his mother’s eyes, track the car to a golf course where they confront the driver and his friends and they promptly get thrown in jail. Apparently this is a normal occurrence as Do-joon’s mother has a full routine worked out with the police upon arrival. After his release Do-joon waits in a bar for Jin-tae’s arrival which never comes. Stumbling drunk home with the golf balls he picked up on the golf course earlier, Do-joon comes across Moon Ah-jung, a local school girl walking home, and after attempting to proposition her leaves for home alone. But the following morning the schoolgirl ends up dead and with the golf balls sprayed all over the place there is only one suspect, Do-joon. Mother then desperately pulls out all the stops to prove that her son was framed as she must unravel the mystery and stop at nothing to set her son free. Mother is a terrifically satisfying murder mystery with standout performances from its two leads. Kim Hae-ja is brilliant as the mother. Her angst, grief and determination are breathtaking. Her performance is the stuff that goes into legend, with film historians bound to be bringing it up for decades to come. With this to contend with, and playing a mentally challenged son that could easily devolve into camp and ridicule, Won Bin manages to embody Do-joon with enough likeability to make the character someone you want to stick with, even if he was the one who perpetrated this heinous crime. The rest of the cast are solid and Joon-ho’s direction is brilliant, keeping the audience guessing all along until the final revelation and the book-ended finish. 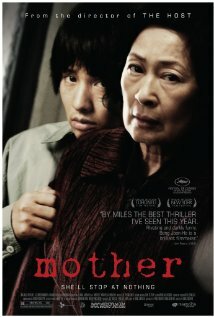 Mother is truly one of the greatest Korean films of the last decade, it’s a strong recommend and I urge you to seek it out. 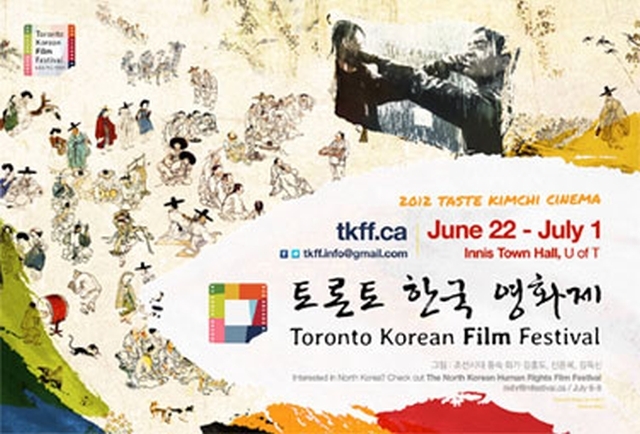 It plays Friday June 29th at the Innis Town Hall on the U of T campus for its TKFF presentation. 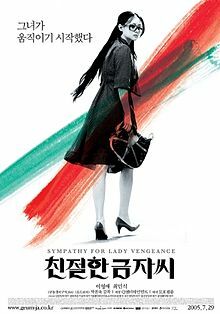 The Toronto Korean Film Festival continues until July 1st with screenings of the aforementioned Mother, Failan and a near perfect cinematic closing night with Sympathy for Lady Vengeance and one of my favorite films of ALL-TIME in Oldboy. Check out the rest of the schedule, tickets still available.